Synopsis, Our Opinion: VERY DELICIOUS Grenache blend. Producer/Winery: Anthony Yount (Winemaker); Denner Vineyards; Paso Robles, California. Grape Variety: Grenache blend – 60% Grenache, 15% Syrah, 15% Mourvedre, 5% Cinsaut and 5% Counoise. 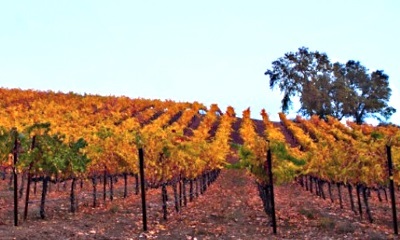 Geographic Appellation: Willow Creek District, Paso Robles; Central Coast, California. Paired With: Venison roulade with spinach and cheese filling, served with mushroom sauce, blue cheese potatoes gratin and asparagus. Opened 2-hours before drinking. Opaque, dark purple color with the same color rim. Rich, ripe cherry aroma with lots of wet wood in the background and strong whiffs of Gardenia flowers (Gardenia jasminoides) that were persistent all the way through the finish. Substantial, smooth, lush with a full body and 80-grit texture. Dusty cherry, current and blackberry flavors wrapped around lots of peppery spice, BONE DRY, fresh acidity, significant firm tannins and an extended long mouth-puckering finish. WOW no shrinking violet here…this was as smooth as silk potent wine from start to finish. A FANTASTIC “New California” blend that had real character, was a hand and glove pairing with the venison and a VERY MELLOW. VERY DELICIOUS Grenache blend. 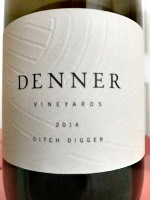 See also: Our review of other Denner Vineyards wines.